Maintaining the look and feel of your carpet can be may prove challenging. From the kids to the pets and every day spills it can take a toll on your carpets. This is especially true if you never get your carpets professionally steam cleaned. There are many carpet cleaning methods available to help you with these day to day challenges.. Each carpet cleaning process has its pros and cons. Different carpet cleaning chemicals are also used in different types of carpets and upholstery fabrics, And, as cleaning technology continues to evolve , carpet cleaning chemicals are also becoming more complex. 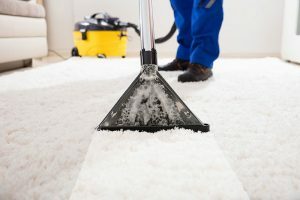 Now, there is a new type of dry carpet cleaning method used particularly for removing dirt from just the surface of the carpets, but this carpet cleaning process will not last as the soil in the backing will begin to wick up and star showing very quickly. TLC Carpet Care in Castle rock Co uses the very carpet cleaning method is known as steam cleaning or also called deep cleaning. This carpet cleaning process is recommended by leading carpet manufactures such as Shaw Industries. Steam cleaning carpets is the most effective way of cleaning because it cleans 98% of the dirt and soil and other organic bacteria in your carpets. It is the only way that reaches all the way to the backing of the carpet to clean it thoroughly. Steam cleaning is one of the efficient and most thorough methods of dealing with the dirt or to fight against the stains. When it comes to the best carpet cleaning, then what can be more beneficial than to clean deep to the very backing? Steam cleaning is the best overall choice if you want to clean your carpets from the depth. It takes more time to dry because this method uses water heated to the very high temperature over 200 degrees, but its also because the carpets wee thoroughly cleaned.